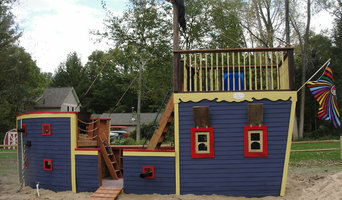 Custom Built playhouses, tree forts, play structures, swing sets. Custom kids beds and furniture too. 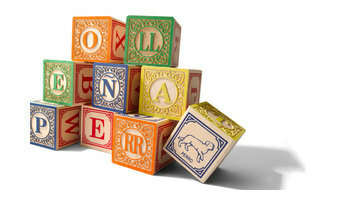 Uncle Goose is the world's premier manufacturer of alphabet blocks. Our sets are handmade in the United States, with unique designs and unparalleled quality. I have a home based embroidery business. I embroider on burp cloths, make baby toys, tote bags, cases, snap hair clips and embroider on bath and kitchen towels. What does a Holland kids room and nursery designer do? Most designers who specialize in decor for kids’ rooms and nurseries will tell you that a child’s room isn’t just for sleeping in. Little ones need a space where they can learn, play and sleep safely. Furniture, blinds and even lighting have to work safely for both you and your little one. Whether you’re hunting for small or large brands, make sure you chat with your Holland, MI designer to make sure that what you buy meets safety requirements. Find kids’ room and nursery professionals on Houzz. Narrow your search in the Professionals section of the website to Holland, MI kids’ room and nursery designers. You can also look through Holland, MI photos to find a room you like, then contact the designer who worked on it.